Find the rule that is all correct on the left side, but not on the right side. If you don't know about bongard problems you can click here. Have an odd number of circles completely contained inside of other circles. Clockwise from top left: 1,1,3,5,5,3. 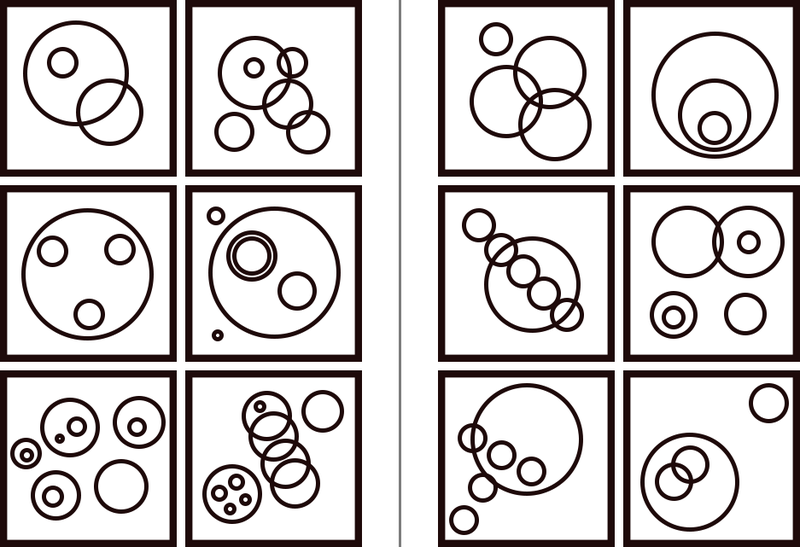 Have an even number of circles completely contained inside of other circles. Clockwise from top left: 0,2,2,2,2,2.